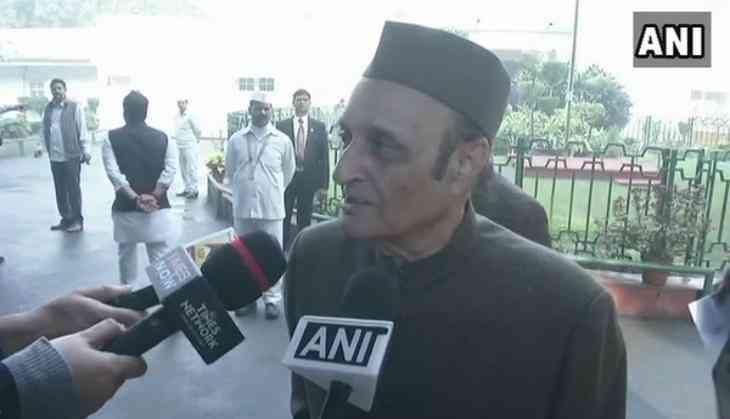 Senior Congress party leader Dr. Karan Singh said time has come for vice-president Rahul Gandhi to take over the commands of the party from his mother, Sonia Gandhi. "Sonia ji took Congress to new heights. She brought the party to Centre twice, we won many elections under her leadership and now it is time for Rahul Gandhi to take the party forward," Singh told reporters outside the party headquarters here. Confident of the party's future in the Gandhi scion's hands, Singh said, "A young generation is taking over, the future of Congress is bright." Singh downplayed the allegations about the election being rigged in favour of Rahul Gandhi, saying that "questions are always raised in politics." He also dismissed the accusations of dynastic politics within the party. "After Jawaharlal ji, Lal Bahadur took office; he was not from Gandhi family. Narsimha Rao and Manmohan Singh were also not from Gandhi family," he contended. Congress leader Kamal Nath also responded to the allegation. "Was Amit Shah elected in a non-rigged election? I want to know that. All the BJP presidents. Was Nitin Gadkari elected through a ballot process? That is the question?" he said. Gandhi, who filed his nomination papers for the post of party chief today, became Congress Vice-President in January 2013. He will succeed his mother Sonia Gandhi, who is the longest-serving chief of the party, having been at the helm from 1998.